In South Africa, having your own set of wheels is a must. But if you are blacklisted with a bad credit record, or even if you are just starting your career with no credit record at all, you’re probably running into problems finding motor vehicle finance in South Africa. If you are tired of hearing “no”, consider Earn-a-Car. 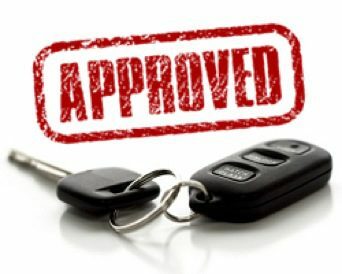 We offer easy vehicle finance solutions with a quick approval process and affordable monthly payments. Best of all, our rent-to-own plan means that you do ‘earn’ your car! Bad credit car loans are just about impossible to come by. But Earn-a-Car can approve your financing even if the banks have turned you down: if you are permanently employed and can make a minimum R10 000 down payment, you could receive instant approval from Earn-a-Car. In most cases, vehicle finance in South Africa will be denied to individuals with a poor credit record. Unlike traditional vehicle finance solutions, however, Ear-a-Car has a rent-to-own finance plan where we retain ownership of the vehicle for the duration of your rental period. In this way, you can get yourself on the road even if you are blacklisted! At the end of the lease period, your monthly rental payments are calculated as vehicle instalments. You also receive R300 cash back for every payment you make, paid as a lump sum at the end of your rental period. You can use this money to pay any amount owing on your car – and drive away as a proud vehicle owner! When you arrange a vehicle through Earn-a-Car, we include many benefits as part of your monthly payment. You receive R300 cash back and R250 towards servicing costs every month. We also include added extras such as accident cover and support, vehicle tracking, roadside assist and more. For information on arranging affordable motor vehicle finance in South Africa, contact us today.